Perpetually reinventing itself, the Department of Communications Arts transforms its annual theatre festival into a multidisciplinary event that reflects its eclectic curricula and a holistic approach to the arts. 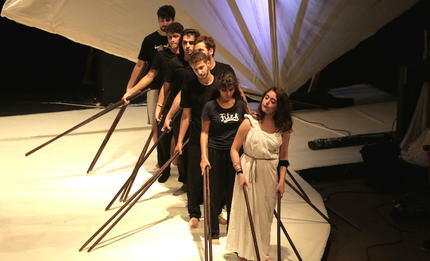 Visitors to LAU last week were treated to five packed days of workshops and performances in music, theatre, dance and writing during the launch of Festival NEXT, a multidisciplinary festival that evolved from LAU’s prominent annual theatre festival. “It’s been wonderful, very inspiring and felt like a retreat,” said German tourist Sarah Bebb who attended a workshop with a friend on the first day of the festival and kept coming back day after day. 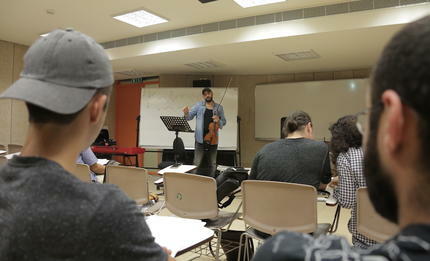 Such interdisciplinary festivals are highly instrumental in promoting a renewed appreciation for the arts undisturbed by commercialization, says Egyptian violinist Saeid Kamal, who ran a workshop on the Arabic violin and performed with fellow musician Amro Salah on the last night of the festival. 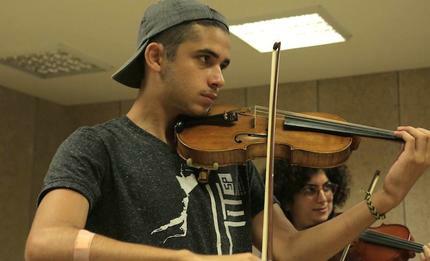 “Commercial music has its place and purpose, but I love initiatives like this one that bring people together to create and enjoy music with artistic merit,” adds Salah. Group work and collaboration were evident in every workshop and performance, including the Verbatim Theater workshop by Sahar Assaf, the Improvisational Acting workshop by Lucien Bourjeili, the scriptwriting workshop run by Tamer Habib and the Indian dance class and performance by Prathiba Netesan, to name but a few of the festival’s many activities. Led by Assistant Professor of Music Amr Selim and Assistant Professor of Dance Nadra Assaf, the production of Festival NEXT was itself a collaborative effort between LAU faculty, staff, students, alumni and friends. 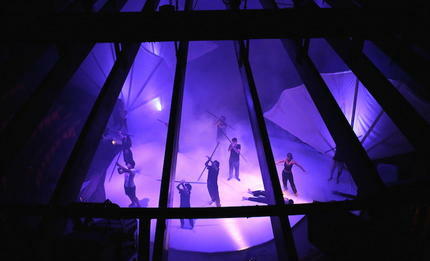 “Because of the team spirit and the quality of the workshops and performances, Festival NEXT succeeded spectacularly and offered us a proven concept and prototype for our next big Festival NEXT in 2018, which will coincide with the 20th anniversary of this festival,” says Melki, noting that it will likely be held in May or June. 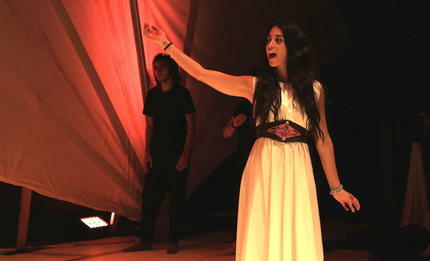 Another purpose behind reinventing the festival was to engage more local artists and students, and this year Brummana High school students performed the play Mount Purgatory. 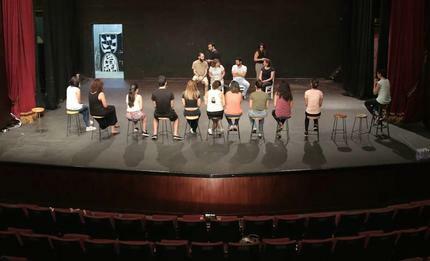 Led by Omar Moujaes, the play also included actors from LAU and the community, reflecting the festival’s new spirit of strong and meaningful community engagement and service.